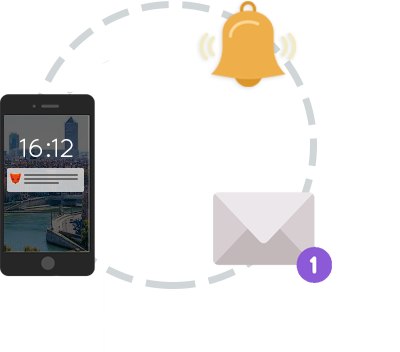 Export the data whenever you like into your CRM. No more manual processing of business cards after an event! 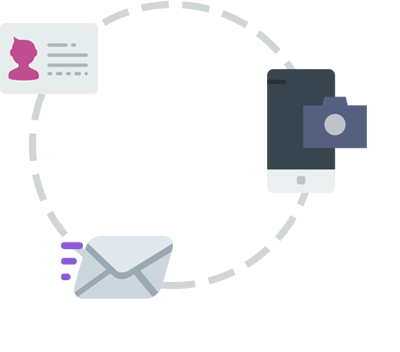 Immediately send collateral to your leads. Contact all the people you meet at a trade fair or event without forgetting anyone or any discussion. Find out who is really interested and to what extent to prioritise your follow up accordingly. 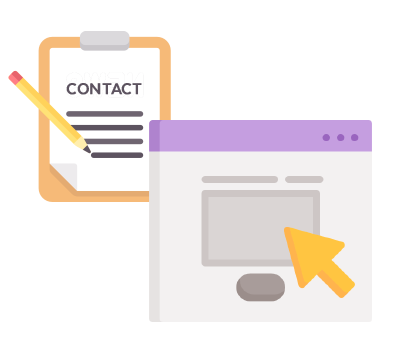 By simply scanning a business card, your lead’s contact information is automatically digitalised and you’re alerted in real-time whenever they read the collateral you send. 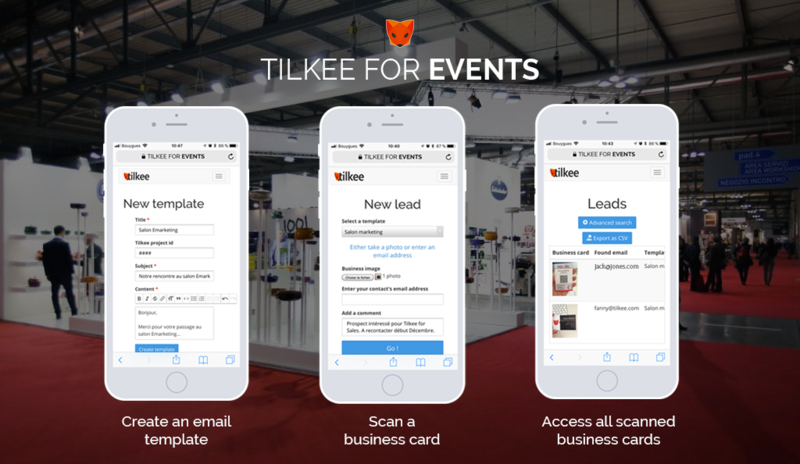 When you scan a business card with Tilkee for Events, a personalised email is automatically sent to your lead with a tracked brochure or other document/s of your choice. You’ll know who is genuinely interested by what you’re proposing in order to effectively prioritise your follow-up with the right leads. All the business cards you scan are available to view on Tilkee for Events which is accesible via mobile and web. You can then export this data. 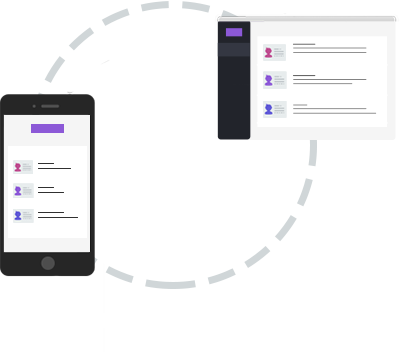 Check out the solution which will revolutionise your event follow-up! What does Tilkee for events look like? Enjoy Tilkee for Events for 3 months.